Inspired by High Fidelity and reinforced by Red Parsley. A good arcade puzzler is second only to a fighting game for a bit of 2-player versus. Like those fighting games, I’m not much good at these either (although I’m not entirely terrible at Bust-a-Move/Puzzle Bobble). That doesn’t stop me giving them a go though, and I like to play a variety so at least I’m not always losing in the same way. Here we have my Top 5, in reverse order as usual. Many of these games came out on a multitude of platforms, I’ve just put the versions I play in the title. The second animal themed puzzler on this list, Baku Baku Animal does at least follow a more familiar pattern. Blocks containing animal heads or food stuffs fall from the sky, match the animal to its food to clear the blocks and send more blocks to your opponent. Bright, cheerful and very SEGA! Recognisable characters from Capcom’s Street Fighter and Darkstalkers games line up to puzzle each other to death. Big combos on the gem matching front see your character giving the opponent a bit of a kicking in the middle of the screen. If you like the art style of this one, it’s worth also picking up Pocket Fighter, which is a 1 on 1 fighting game in the Street Fighter style, featuring the Puzzle Fighter versions of these characters. This held the top spot for a very long time, and may well claw it back in time. 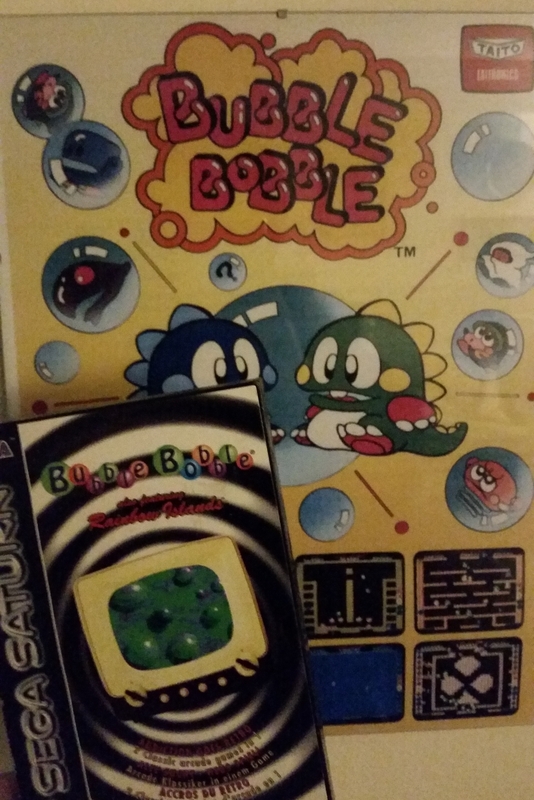 The Puzzle Bobble franchise is iconic, often imitated never bettered. Taking it’s characters and design from the Bubble Bobble series, the game is a joy. Fire coloured bubbles up the screen, matching 3 or more of the same colour in order to make them disappear, the more you get rid of at once the more you send over to your opponent to ruin their day. Or more often, you slightly miss your shot, frantically try to repair the damage your own ineptitude has caused while your opponent gleefully sends over more bubbles to add to your ever descending wall. Probably cheating slightly, this is exceptional value given that along with the crazy Puyo Tetris mode (where you’re matching Puyos and making Tetris lines), it also includes arguably the finest versions of both Puyo Puyo and Tetris standalones too. The genius stroke here is when you play a versus match up, each player decides what to play. When competing with my girlfriend, I generally play Tetris against her Puyo Puyo, which gives me an almost fighting chance before my inevitable demise. Although Puyo Puyo Tetris is still a Japanese only release, it is well worth importing. The menus are all in Japanese but there are plenty of excellent fan-translations online to help you navigate them, and even translations for the entire story mode should you be that way inclined. Dr Mario and Columns both almost made the list. Dr Mario missed out because I am entirely useless at it to the point of not enjoying myself even trying. Columns would have made the list if I was working just on childhood memories, it just doesn’t hold up today. This entry was posted in Top 5, Videogames and tagged pc gaming, PS4, puyo puyo, puzzle games, Retrogaming, review, tetris, Top 5, videogames, writing on September 23, 2016 by Kay Joon. Time for another top 5, in reverse order again, although I already spoiled this if you read my Top 5 games post. Again these are my favourites, so the rankings have been influenced by nostalgia and sentiment. I will throw the “almost made it” machines onto the end. The only system in this list that I don’t currently own, but that’s simply because I play the games on my Mega Drive to save space. I grew up in a house with 4 older sisters, and fondly remember early years with the shared Texas TI99 and then a ZX Spectrum, but it wasn’t until the Master System that I would get a machine of my own. I received the Master System II machine with built in Alex Kidd in Miracle World for my birthday. I shortly after received The Ninja and Transbot and these were the only games I owned for a year or so. Transbot doesn’t really hold up so well now, but I loved them all and Alex Kidd remains a favourite today. Fortunately, at the time I received my console, two of my sisters’s partners also owned Master Systems, with a good collection of games. Through borrowing their games I discovered (and played to death) Fantasy Zone, Operation Wolf, Rocky, R-Type, Rampage and Moonwalker. It was also the beginning of the age of video game rentals, and the repeated renting of Bubble Bobble started a series of gaming with one of my sisters that would continue throughout my childhood. On Twitter recently, @nakamuramartin started a conversation about retrogaming, asking people to identify the console that they had the most nostalgia for. (Well it was recently when I started writing this…) In my case nothing tops the Master System for that. Another win for the machine was the availability of relatively inexpensive but quality Arcade Sticks. These are still sought after now, and very popular for the modding community to upgrade the components and make them compatible with more modern consoles. Having access to these for my favourite genres of shmups and fighting games really made the console shine in my eyes. The console is still regarded as a powerhouse for these two genres particularly, and this is largely how it earns a place in my top 5. A lot of criticism the Dreamcast does receive is about that controller. I did find it good for the racing games on the system, and for me it is still the best way to play Crazy Taxi outside the arcade. However, I can’t recommend it for those genres mentioned above, and understand completely if you wrote off FPS and Fighting games on Dreamcast at the time because the controller was pap. I keep one setup now, and still return to it regularly for Mars Matrix and trips to Street Fighter Alpha 3. It also still looks great on my HDTV, thanks to that VGA adapter. Another system on the list heavily influenced by nostalgia, this was the natural progression from my Master System, and still remember the Christmas it turned up. I had the pack in with Mega Games 2, and spent so much time with Streets of Rage, Golden Axe and the Revenge of Shinobi. Sonic the Hedgehog blew me away, and much like with Alex Kidd in Miracle World, I still can’t walk past the first Sonic game without at least doing the first couple of stages. So, so good. Co-op gaming with my sister continued here, with Toejam & Earl being the game of choice. Also fond memories of playing hours of 3 & 4 player James Pond: Aquatic Games, such a great multiplayer title. I also enjoyed watching my sister play through Ecco the Dolphin, and being thoroughly confused by that final boss. (I found the game too terrifying to play myself, and still struggle with it now!) It’s such an iconic game though, I’d love a new Ecco game. There are so many memories from the Mega Drive, and I hope to cover some of my favourites from the system in future posts. I recently picked up an EverDrive cartridge for mine, and am enjoying discovering those titles from the excellent library of 16 bit shmups I missed first time round. It’s a joy in full 60hz RGB. I adore the Vita, it’s so good at what it does. It has an excellent collection of shmups, the first time I’ve really enjoyed them on a handheld. The PSP did a decent enough job, just never found it comfy enough for extended play times. Wipeout 2048 is superb and there are so many great indies that although multiplatform, I still consider them ‘best on vita’. Games like Velocity 2X, Rogue Legacy, Limbo, Thomas Was Alone etc. I’m certainly not alone in this choice, although at the time you could barely find people who had even heard of it. The console that really made me feel like the Arcade experience was possible at home. SEGA Rally, Virtual Fighter 2, Virtua Cop, these were the games I wanted to play constantly. Digging deeper, particularly into the Japanese library, you discover that it has one of the greatest librarys of 2D shmups and fighters ever. SNK and Capcom both put some superb titles onto this machine, often making use of the 1-4MB RAM expansion card to achieve amazing arcade ports that just weren’t possible otherwise. This was also the last system I played a lot with my sister, before we grew up and moved out. We lived on Bust-a-Move 2 (Puzzle Bobble) and it remains my favourite Puzzler/Match 3 to this day. We even had the Bubble Bobble & Rainbow Islands pack, and played that together feeling nostalgic for the Master System. This is close to being my most played console, and is in constant contention with my more modern machines. I love it and if I only had one machine it would definitely be a SEGA Saturn. PSX – This was close, as it does have some absolute gems. Racing games in particular really stand out, I have found myself picking some of these up again to play on my PS3. If anything though it is partly represented by the PS Vita, since playing Blood Omen: Legacy of Kain and Kula World on that is a joy. Neo Geo Pocket Colour – I have such affection for this console, and I still think it has the best thumbstick of any handheld. A bigger library and a backlit screen would probably have secured it’s place in my top 5, I still fondly remember getting mine at UK launch. I’ve yet to find another handheld that is so satisfying for fighting games. This entry was posted in Top 5, Videogames and tagged Retrogaming, Sega, Top 5, videogames, writing on March 4, 2016 by Kay Joon. Hot on the heels of (13 months later than) my Top 5 Christmas songs, I’ve decided this format is a useful tool for inspiring blog posts. This is still influenced by High Fidelity, but also because my friend Simon over at Red Parsley does it so well. Maybe writing about my top 5 games of all time might give me pause to consider that I have the list right. I’ll add a few ‘also rans’ to the end for those that either nearly made the list, or that may have been on there in the past. 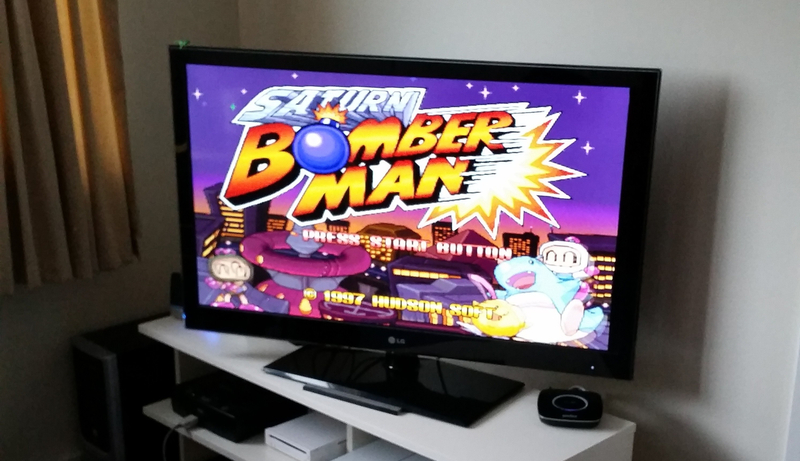 Atomic Bomberman: Difficult to defend generally, I nonetheless had a lot of fun with this. Supporting 10 players, I played a bunch of it online on PC way before the Xbox 360 was on the scene. It also helped that I grabbed the ‘Sold Out Software’ release, for full RRP, £4.99. The PSX, Mega Drive and PC Engine also have solid versions I would happily recommend. My favourite ever RTS, and the reason I ended up losing thousands of hours to World of Warcraft… Real Time Strategy is that one genre I like the idea of much more than the reality. 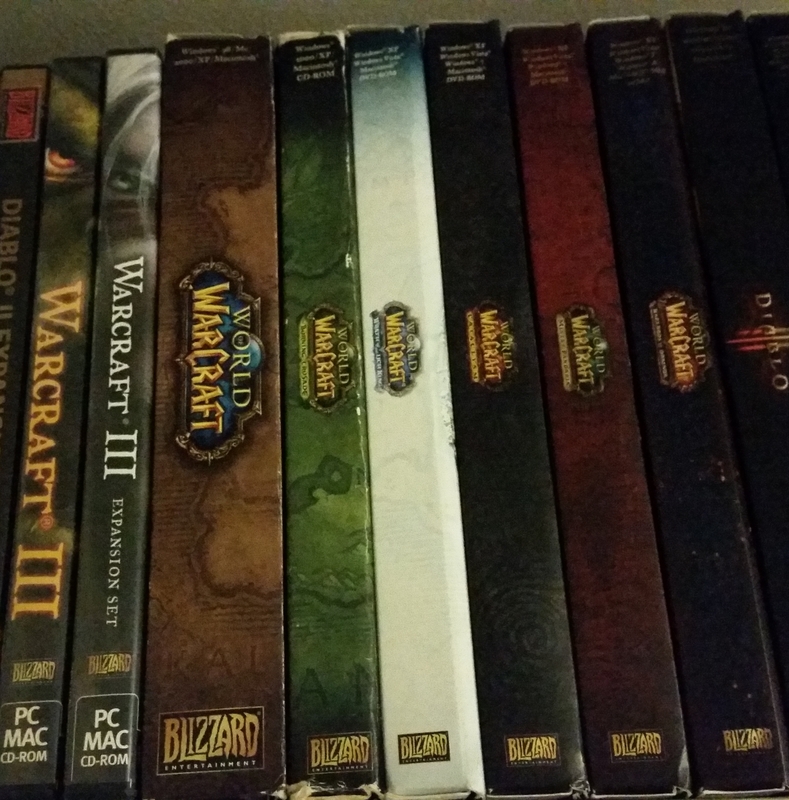 I think Warcraft 3 remains as the only RTS I completed the entire story mode for, and all the content from the expansion. It’s also the only one I ever managed to win any games online against randoms (although probably still less than 1 in 10…) I keep it installed now, and still fire up the occasional skirmish. It’s all your fault, WC3! There is admittedly a certain amount of sentimentality to this for me, but the game still holds up today and deserves its place here. These days I play it on the SEGA Saturn double release with Rainbow Islands, but first time round this was a regular on my Master System (arguably the best home port of the game ever) I played it in co-op with one of my sisters, and it is a favourite gaming memory. If I ever do a top 5 local co-op games list, I’m pretty sure this will be number 1. 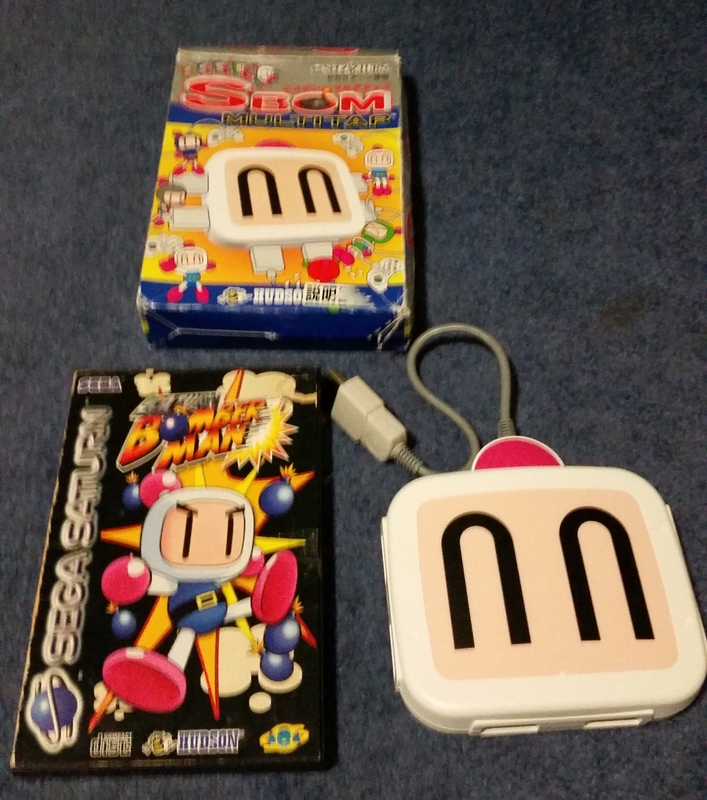 Interestingly the ‘Match 3’ spin-off series Bust-a-Move/Puzzle Bobble is my favourite game in that genre too, and I played a lot of that with the same sister when I first got my Saturn. From a nostalgia point of view, Toejam & Earl holds a similar place in my heart to Bubble Bobble, as that was our game on the Mega Drive, but it doesn’t play quite so well today. This was the game that made me really pay attention to the FPS genre. One of my biggest (my views on Nintendo aside) ‘gamer crimes’ is not really liking Doom. I just never really caught the hype, and although I had quite a bit of fun with Heretic, I didn’t really ‘get it’ until Quake came, and things were really 3D for the first time. It also helped that I experienced DosQuake, then WinQuake, then GLQuake over a short period of time, each one blowing my mind afresh. It was seriously close to taking my number one spot, and I replay at least the first few levels frequently (albeit with a nice new modern engine). The single player game is glorious and the theme had me hooked. The multi-player introduced me to deathmatches and led to those weekends of carrying your whole PC to a friend’s house for LAN parties. It sparked a love affair with FPS multi-player which lasted a solid decade for me, and peaked with Q3A and UT99. There have been great games since, but those are always the experiences I’m chasing when I play online now. Up until the release of TxK, this spot was occupied by Tempest 2000 on the Jaguar. My views on Tempest 2000 can be applied to TxK pretty much as a copy & paste and still fit exactly. TxK for me is the perfect game. The visuals, sounds and gameplay all suit my tastes, and when I play it is gaming enjoyment at its finest. This game alone would be enough to keep my Vita secure in its place as my favourite ever handheld (uh-oh…). I also really love Space Giraffe (the game that caused me to buy an Xbox 360). 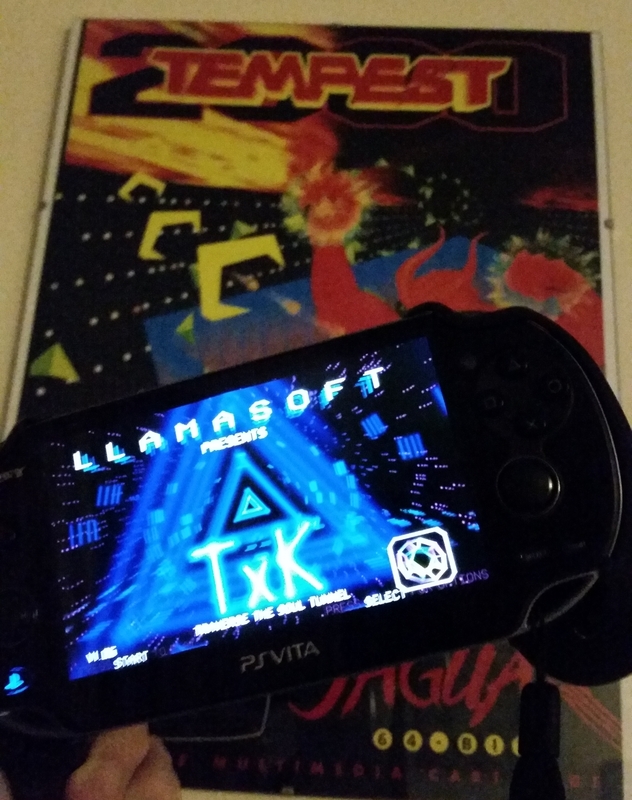 If you get the chance, Llamasoft attend a lot of games shows across the UK, and frequently have a version of TxK running on VR hardware with a custom built rotary controller. This is the best way to experience the game, and I really wish it was in my house. These games almost made my list, and if I make top 5 lists based on platform or genre, I’d expect to see them there. From the Master System: Fantasy Zone and Alex Kidd in Miracle World. Both games massively sentimental for me, bathed in nostalgia. I grew up with four older sisters who owned various micro computers. My first gaming experiences were on the Texas Ti99, Commodore 16+4, Rubber-keyed speccy, but the first machine that was MINE was my Master System 2. It had Alex Kidd built in, and it’ll forever be in my heart. Fantasy Zone was probably bettered by its sequels, but the original still holds up. Representing Nintendo (because I’m not a monster): Animal Crossing and Mario Kart. These two series are generally the reason I buy Nintendo hardware. Animal Crossing on the 3DS is probably my favourite, and Mario Kart Wii was stand-out because of how much I played it online. Mario Kart DS at the height of the console’s popularity was sublime though, at one point I was playing this daily with 4 other people during lunchtime at work, including my boss. This entry was posted in Top 5, Videogames and tagged Retrogaming, Sega, Top 5, videogames, warcraft on January 6, 2016 by Kay Joon.